Discussion in 'The Mainboard' started by Illinihockey, Apr 12, 2015. Looks like our old thread got deleted so let's pick up here. Since the board crash, Tikrit fell in Iraq but Al-Qaeda is making big gains in Syria and apparently ISIS has taken over parts of refugee camps around Damascus. But will this one actually be about Isis? Question for military and ex-military in this thread. I see lots of air strikes against ISIS excavators and bulldozers and wondered why. Are they used as attack vehicles or to build defensive earthworks? 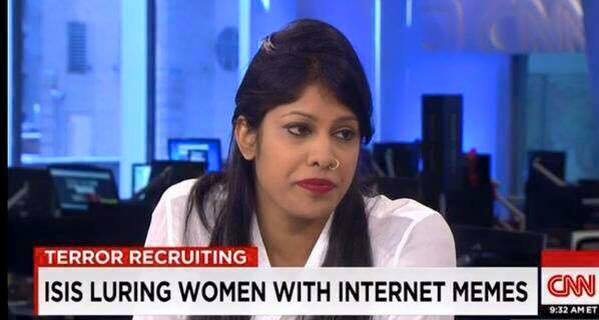 What's their strategic purpose? All of the above. Plus they probably use them to destroy historical monuments, etc and we'd love to put a stop to that as well. Primarily probably used to build defensive positions though. Also see lots of strikes vs "tactical unit". Is that a term of art? Like does it mean a specific thing like 10 or less troops? Something like that? No idea. Probably a catch all term. 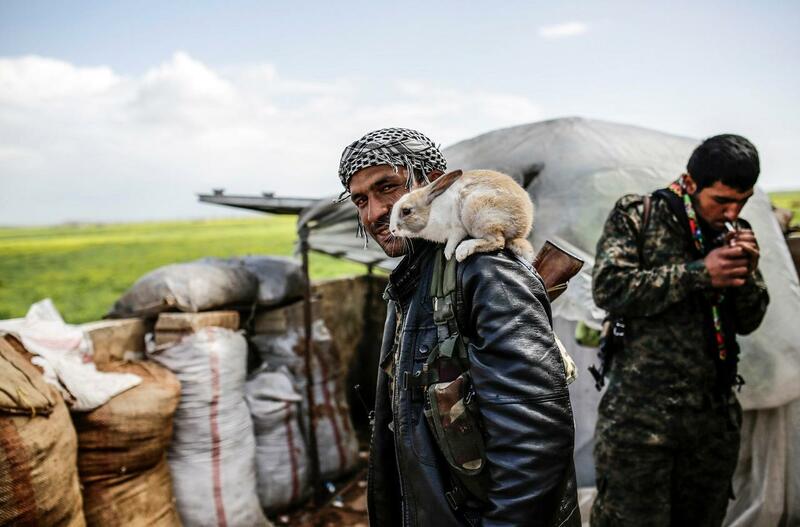 Been reading/watching a ton on the Syrian Civil War recently, crazy and sad stuff. I assume that's some sort of vehicle/artillery but I could be wrong. Oracle of Omahawg, JuanB4AU, HatterasJack and 4 others like this. So ISIS just jackhammered and blew up Nimrud, a 3000 year old assyrian city. I don't know why, but them destroying historic monuments and cities pisses me off more than them killing people. All these evil groups kill, but these fuckholes are destroying history. It really is fucked up. This slide show will really piss you off. West of Baghdad (CNN)The key Iraqi city of Ramadi could fall within hours to ISIS militants who have been gaining ground in recent days, a local official said Wednesday. Fierce fighting has engulfed Ramadi, which lies only about 70 miles (110 kilometers) west of Baghdad and is the capital of Anbar province, Iraq's Sunni heartland. Deputy Head of the Anbar Provincial Council Falih Essawi told CNN from inside the city that it's unclear how much longer government troops can hold the front lines against the ISIS offensive. Intensifying previous warnings about the critical situation in Ramadi, he begged the Iraqi government for reinforcements and the U.S.-led coalition for air support. His plea for help comes the day after Iraqi Prime Minister Haider Al-Abadi met with U.S. President Barack Obama in Washington to seek more support for the fight against ISIS. The extremist group's offensive in Ramadi shows its resilience despite months of U.S.-led airstrikes and the recent defeat to Iraqi forces in the northern city of Tikrit. ISIS fighters have Ramadi under pressure from several angles. Essawi said ISIS militants made significant advances Wednesday in three areas east of Ramadi: Albu Soda, Albu Ghanem and parts of Soufia, which leads to central Ramadi. 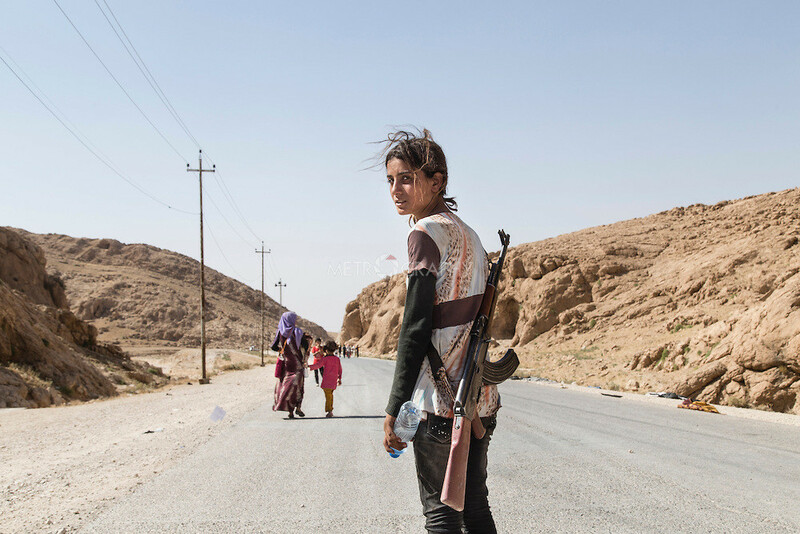 A member of the tribal groups fights alongside Iraqi government forces during clashes with ISIS jihadists in Ramadi in March. 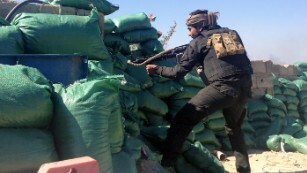 Over the weekend, the militants seized control of areas north of Ramadi. Routes south of the city were taken some months ago. That leaves only areas to the west of Ramadi in the hands of government forces, but those positions are under threat, Essawi warned. The recent fighting has driven a steady stream of refugees out of the city. Ramadi has seen intense and persistent fighting for months. ISIS took over parts of the city in the first half of last year, placing it at the heart of a deadly tug of war ever since. The U.S. military has carried out multiple airstrikes against ISIS targets near in recent weeks. CNN's Hamdi Alkhshali and Arwa Damon reported from west of Baghdad, and Jethro Mullen wrote from Hong Kong. Al Qaeda’s most lethal branch said today that its top cleric, a man with a $5 million American bounty on his head, has been killed in Yemen, as the Arab nation falls deeper into chaos. BAGHDAD (AP) — Iraqi officials said they believe that government forces on Friday killed Saddam Hussein's former deputy, Izzat Ibrahim al-Douri, who remained a wanted fugitive since the 2003 U.S.-led invasion of Iraq and who later allied himself with Islamic State militants. Al-Douri was known as the "king of clubs" in the deck of playing cards issued to help U.S. troops identify key members of Saddam's regime. MANAMA, Bahrain (NNS) -- The aircraft carrier USS Theodore Roosevelt (CVN 71), escorted by the guided-missile cruiser USS Normandy (CG 60), transited the Strait of Hormuz from its station in the Arabian Gulf to the Arabian Sea, April 19. Theodore Roosevelt and Normandy have joined other U.S. forces conducting maritime security operations in the Arabian Sea, Gulf of Aden, the Strait of Bab-el-Mandeb and the Southern Red Sea. In recent days, the U.S. Navy has increased its presence in this area as a result of the current instability in Yemen. The purpose of these operations is to ensure the vital shipping lanes in the region remain open and safe. The United States remains committed to its regional partners and to maintaining security in the maritime environment. Big rebel offensive underway tonight in NW Hama/Idlib involving anywhere between 9,000-13,000 fighters. 941Gator, Keef, POWESHOW and 9 others like this. Al-Qaeda linked rebels(Al-Nusra among others) have taken large parts of Jisr al-Shughour, bad news for Assad's forces. Weather is too windy for airstrikes. Craig Pettis, Keef, Eric The Viking and 4 others like this. I'm fairly sure she's underage. 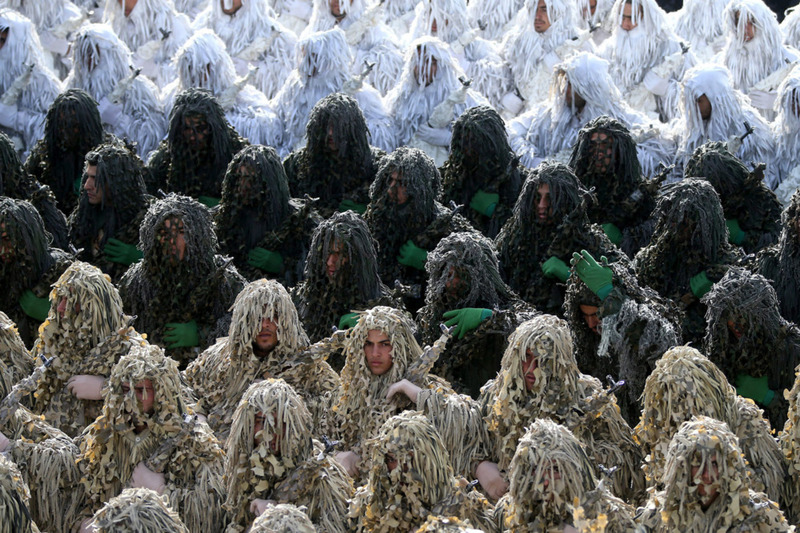 Is the white camouflage for when it snows in Iran? I would assume that's exactly what it's for. ISIS captured a dam and overran an Iraqi military base in Western Iraq, around 140 Iraqi soldiers and a general were killed, 40 or so after they were captured. They're down but a long way from being put to sleep. A lot of people think we'll start seeing defections from ISIS to other Islamist groups in Syria who've gained momentum against Assad recently. UncleItchyBalls and Illinihockey like this. At least two civilians killed and five soldiers believed to be captured in attacks by Houthis in border town of Najran. Yemeni rebels have fired rockets and mortars into Saudi Arabia, killing at least two civilians and reportedly capturing five soldiers in an attack showing the insurgents' ability to launch assaults despite weeks of bombings by Saudi-led coalition. Saudi authorities said that the armed Houthi fighters carried out the attacks on Tuesday in the town of Najran, forcing authorities to suspend all flights at a local airport, and shut down all schools. In a statement, Saudi Brig. Gen. Ahmed Asiri said that Saudi-led coalition forces continue to respond to the Houthi attack. "What happened today is part of the chaos that the Houthi militias live with," he said, adding that "all options are open" to the kingdom to ensure its security. Yemeni tribal leaders told the Associated Press news agency that armed rebel Houthis, shelled the border area from inside Yemen. The sources spoke on condition of anonymity as they were not authorised to speak to the media. The border area has been a flashpoint for Saudi-Houthi clashes amid a Saudi-led coalition's air campaign targeting the rebels in Yemen. "This is a major development in this war," Al Jazeera's Mohamed Vall, who is reporting from the Saudi capital Riyadh, said. "Up until now we have seen attacks on soldiers near the border, but not in the city itself." He said the latest attack complicates the work of the Saudi military, who now faces the challenge of securing the border, while carrying out air strikes inside Yemen. Last Thursday, border clashes left three Saudi troops and dozens of rebels dead. News of the latest violence comes as Saudi King Salman announced at a meeting of Gulf leaders the establishment of a centre to coordinate relief operation for Yemen, and invited the United Nations to join in the effort. "We hope that the United Nations will participate effectively with what this centre will shoulder, including coordinating all humanitarian and relief works for the Yemeni people with the participation of the countries that are supporting the Gulf initiative," he said in a speech in the Saudi capital. On Monday, Saudi's foreign minister Adel-al Jubeir had said that his country was considering temporary halts in coalition air strikes against the Houthis, to allow for aid deliveries. For his part, John Kerry, US secretary of state, will visit Riyadh for discussions with Saudi government leaders on May 6 and May 7 to discuss the "humanitarian pause". The UN has repeatedly warned that impoverished Yemen faces a major humanitarian crisis and calls have been growing for efforts to increase aid deliveries. Jubeir said Saudi Arabia "plans to establish a centre on its territory to be in charge of coordinating all humanitarian aid efforts" with the UN, donors and other relevant agencies. He warned the rebels against "taking advantage" of any pause in the bombing. Saudi Arabia "will deal with any violations in connection with the suspension of air strikes or movements that hinder humanitarian efforts", he said. Ironmike, JuanB4AU, UncleItchyBalls and 1 other person like this. boozerbuck, HuskerPriapism, Keef and 14 others like this. A senior al Qaeda in the Arabian Peninsula leader who claimed the group's responsibility for the Charlie Hebdo massacre and the murder of an American hostage during a botched raid in December has been killed in a U.S. drone strike in Yemen, it was announced Thursday. Al Qaeda in the Arabian Peninsula (AQAP) announced the death of leader Nasr bin Ali al-Ansi and other operatives by a U.S. drone strike in a video, which was verified by security consulting firm and NBC News partner Flashpoint Intelligence. Cornfed Buffalo and Truman like this. 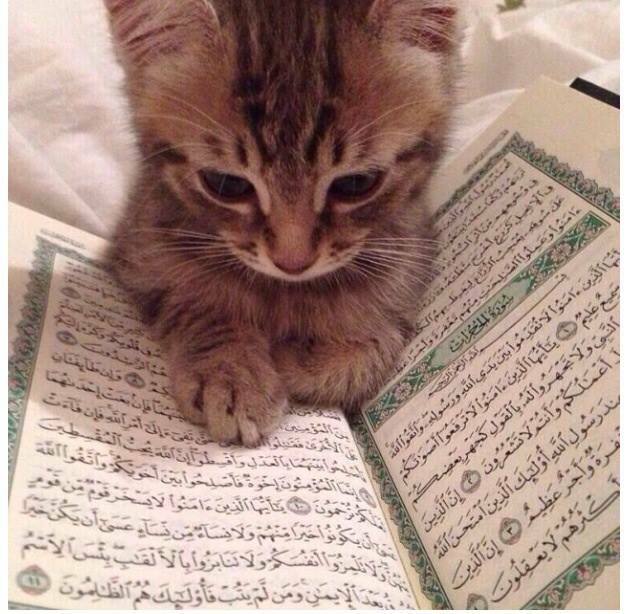 I don't get it if you're saying the cat is a terrorist because it's reading Arabic. However if you're saying the cat is a terrorist because all cats are evil and terrorist, absolutely ! Kirk Fogg, jhooked and Eric The Viking like this. BAGHDAD (Reuters) - Iraq's Defence Ministry said on Wednesday the second most senior member of Islamic State had been killed in a coalition air strike on a mosque where he was meeting with other militants in the north of the country. "Based on accurate intelligence, an air strike by the coalition forces targeted the second in command of IS, Abu Alaa al-Afari," the ministry said in a statement on its website. Abu Alaa al-Afari, whose real name is Abdul Rahman Mustafa Mohammed, is an ethnic Turkmen from the town of Tel Afar in northwestern Iraq, and is thought to be second in command of Islamic State after self-proclaimed caliph Abu Bakr al-Baghdadi. The Pentagon said it was aware of the reports but could not confirm them. Baghdadi was recently reported to have been incapacitated by a coalition airstrike in the same part of Iraq, and Afari was tipped to assume leadership of the organization. BROADWAY JOE and BudKilmer like this. Holy crap at that string of gibberish at 1:20.
southlick and BudKilmer like this. ISIS in the middle of caputring Ramadi again. No boots on the ground amirite? The incompetence of both the SAA and Iraqi Army is pretty incredible. Assad would've fallen long ago without Iran and Hezbollah, Iraq's relying on militias who aren't too far from being terrorists. Wish we could have taken him alive, but kudos to Obama for green lighting the mission.